Starting tonight at 8 p.m., essential maintenance work will take place at the intersection of Washington Avenue and Manetto Hill Road. Customers in the area may experience slight water pressure variations or discolored water conditions during the maintenance period. If you live in the immediate area and your water appears discolored, flush the water for several minutes. Please be advised that your water is safe to drink. This work is intended to continue through 5 a.m. tomorrow morning and will also extend from 8 p.m. to 5 a.m. Thursday night into Friday morning. We thank you for your patience and understanding, and we are available to answer any questions you might have. 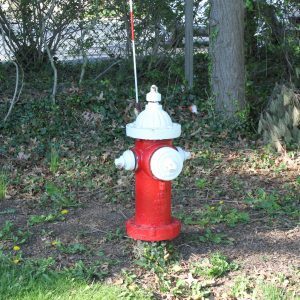 Plainview Water District personnel will be conducting preventative maintenance operations on all hydrants district-wide from May 9th to approximately July 1st. This routine annual maintenance of our hydrants helps protect our community’s health and safety. This is not an extensive flushing operation. We will be pressure testing our hydrants and opening them briefly to ensure proper operation and readiness so that they will be fully functional by fire crews if needed. When maintenance is being performed residents in the immediate vicinity of the work may experience temporary discoloration of their water. This discoloration primarily consists of harmless rust particles and does not affect the safety of the water. If you experience discoloration in your water after crews have been testing hydrants in your neighborhood, it is best to run your cold water tap at the lowest point of your home for 2 minutes or until it clears up. Questions about hydrant testing can be directed to our customer service representatives by calling 516-931-6469 between the hours of 8am and 4pm Monday – Friday. The New York State Department of Environmental Conservation (NYSDEC) has employed Cascade Drilling Company to conduct drilling operations in the vicinity of Montclair Road—off Manetto Hill Road—in Plainview. Cascade will be installing up to seven monitoring wells as part of the 131 Sunnyside Boulevard superfund site investigation. A monitoring well is a 2-inch diameter, PVC casing pipe that begins at the surface and goes approximately 100 feet below the ground so they can take samples of the groundwater. Please be advised that your drinking water is not in any way affected as a result of these actions. A fact sheet with additional information has been provided by the NYSDEC. If you have specific questions about this work or would like to know more about the monitoring wells, please contact the NYSDEC at 518-402-9621. Should any resident have additional questions, Residents are always welcome to contact the Plainview Water District at 516-931-6469 for additional information. The Plainview Water District was recently notified by a resident on Ruby Lane who reported an incident where two individuals gained entry into his home by posing as water district employees. Fortunately, the homeowner was not harmed and, to his knowledge, no items were taken. The homeowner immediately notified the police. Residents should always ask for identification and check the immediate vicinity for a Plainview Water District vehicle if anyone posing as a District employee unexpectedly appears at your home. When in doubt, contact our office at 516-931-6469 to confirm the visit. If at any point you feel threatened, dial 911 immediately. Plainview Water District Commissioners stress the importance of keeping fire hydrants accessible all year long. The Plainview Volunteer Fire Department does an excellent job of protecting the lives and homes of our residents. We must all keep in mind that fire hydrant accessibility is a primary factor in fighting fires successfully. That’s why Plainview Water District Commissioners Marc Laykind, Andrew Bader and Amanda Field would like to remind homeowners and local businesses to make sure they keep areas surrounding fire hydrants clear so the fire department can connect its equipment without delay. For your own protection and the protection of those you care about, the Plainview Water District urges you to keep this responsibility in mind; please remember when colder weather approaches to remove any snow that surrounds fire hydrants in front of your property. It is not only an important way to help our everyday heroes, but people’s lives may depend on it. The Plainvew Water District Board of Commissioners would like to thank its residents in advance for adhering to the Chairman’s suggestion. The Plainview Water District was notified by Nassau County Police that an incident was reported, whereby individuals attempted entry into a home in the POB community posing as water district employees. Fortunately, the homeowner turned the individuals away and called 911. Residents should always ask for identification and check the immediate vicinity for a Plainview Water District Vehicle. When in doubt contact our office at (516) 931-6469.